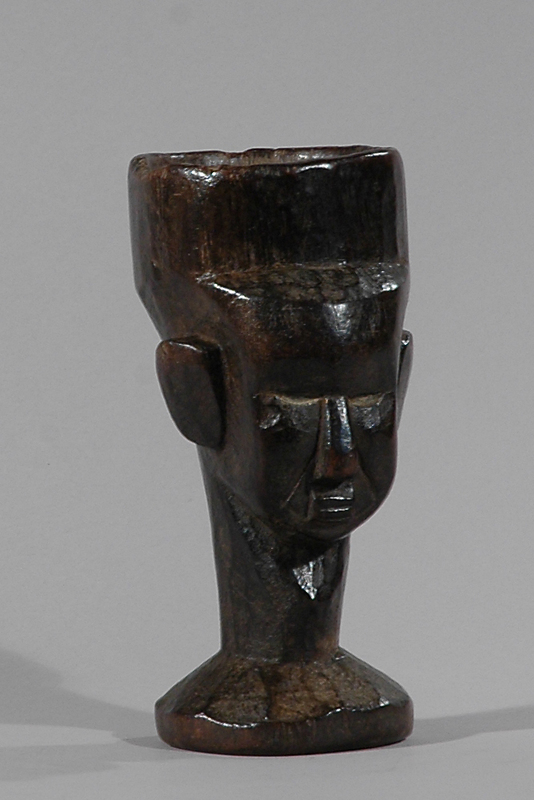 Today, plastic cups or glasses are used for drinking, however, during the 19th and early 20th centuries decorated wooden cups were carved by several tribes across the Southern Savanna. 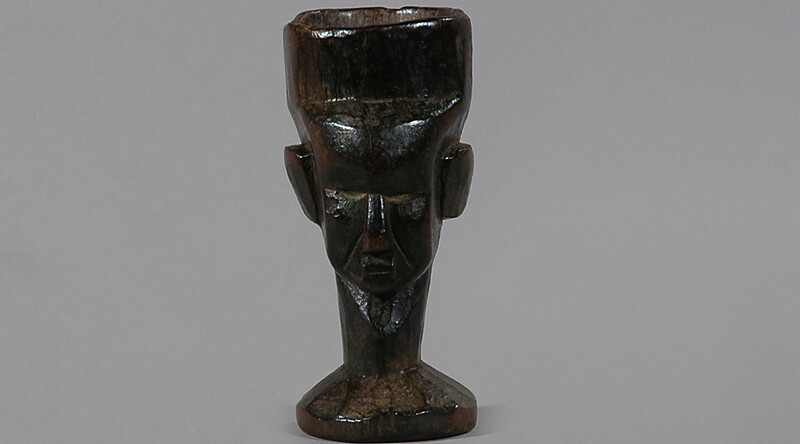 The Kuba are specifically known for their figural and head-shaped cups. 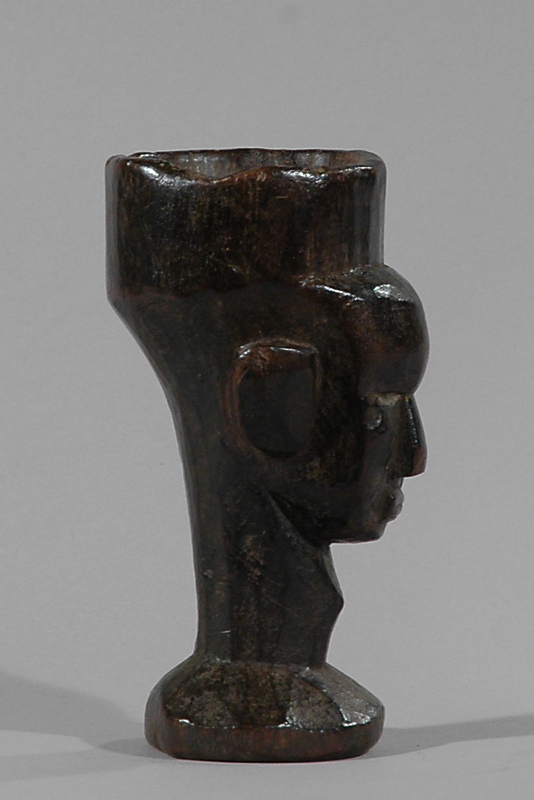 This old drinking cup is a perfect example of the masterful artistry of the Kuba woodcarvers. 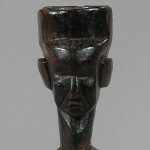 Carved with a human head, typical but also almost cubic facial features. 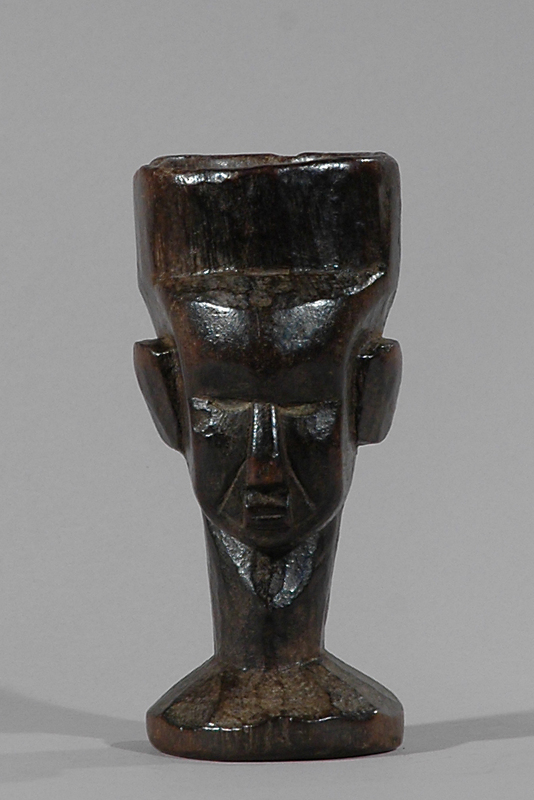 The elongated head and the high cheekbones may indicate that the carver could be Ndengese, working on a royal commission (Felix 1987: 62-63,28-29). 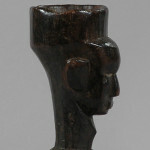 The exchange of prestige objects between the Kuba and the Ndengese is frequent and long-standing, for the Bushoong royal clan and the Ndengese are related. 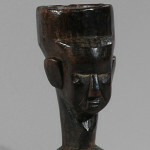 Although Kuba cups are common in public and private collections, cups of this quality are quite rare. 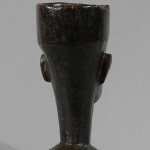 The cup, used for drinking wine from the fermented sap of the raphia palm (Raphia vinifera), in some cases for libation or for traditional medicine depicts a royal male. 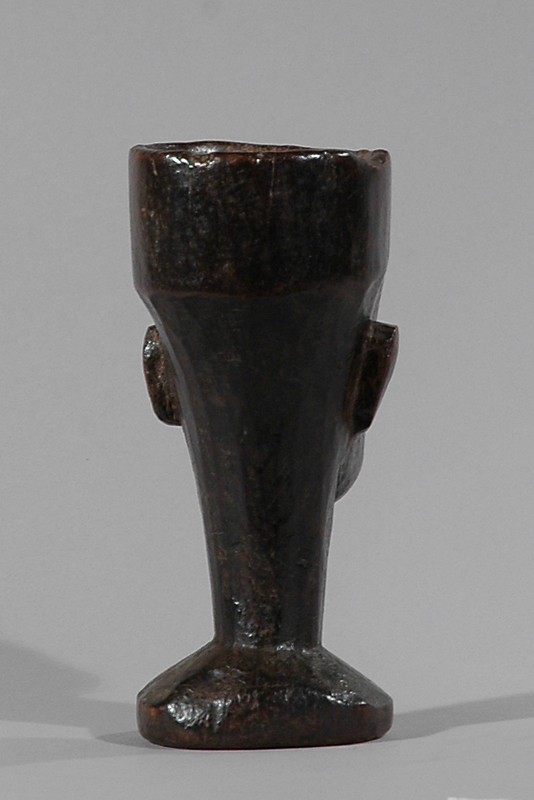 Traces still remain of the red cosmetic camwood powder, tukula, which was rubbed into such objects.